DRUMMOND, Sir GORDON, army officer and colonial administrator; b. 27 Sept. 1772 at Quebec, youngest of five sons of Colin Drummond of Megginch and Catherine Oliphant of Rossie; m. 17 Oct. 1807 Margaret Russell, daughter of William Russell of Brancepeth, at Brancepeth Castle, England, and they had two sons and one daughter; d. 10 Oct. 1854 in London. Gordon Drummond was born into an old landed family of Perthshire, Scotland. 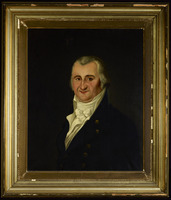 His father, the Quebec agent for the London firm of Fludyer and Drummond and a business partner of Jacob Jordan*, served as deputy paymaster general to the forces in the province of Quebec and as a legislative councillor. The family left Quebec four years after Colin Drummond’s death in 1776, and Gordon received his education in Britain. On 21 Sept. 1789 he entered the British army as an ensign in the 1st Foot. Thereafter he rose rapidly in rank even by the standards of the time, becoming lieutenant in the 41st Foot in March 1791, captain in January 1792, major in the 8th Foot on 28 Feb. 1794, and junior lieutenant-colonel in the 8th the next day. Drummond saw his first active service during the Netherlands campaign of 1794–95, in which he distinguished himself at the siege of Nijmegen, and he led his regiment throughout the reconquest of Egypt in 1801. On I Jan. 1798 he was promoted colonel in the army. Following garrison duty in the Mediterranean, in 1804 Drummond was appointed brigadier-general for staff duty in Britain, and became a major-general the following year. 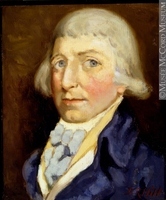 After serving as second in command at Jamaica for two years, he returned to his birthplace in July 1808 as a subordinate to Sir James Henry Craig*, commander of the forces in British North America. 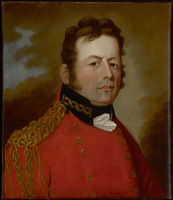 Advanced to lieutenant-general on 4 June 1811, he was commander of the forces in the Canadas between the tenures of Craig and Sir George Prevost* that year, before leaving in October to take charge of a military district in northern Ireland. Drummond was still in Ireland when the War of 1812 broke out. In August 1813 he left for North America after being appointed president of the government and commander of the troops in Upper Canada, the principal seat of the war. 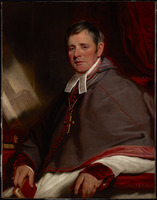 His previous service in the Canadas was probably an important reason for his selection, which came in the wake of Prevost’s disenchantment with Sir Roger Hale Sheaffe, who had in the mean time been replaced by Francis de Rottenburg*. When Drummond reached his headquarters at Kingston on 3 December, he found the province in considerable disarray. The Detroit and Niagara frontiers were in American hands, and the southwest part of the province had been evacuated following the British defeats on Lake Erie and at Moraviantown [see Robert Heriot Barclay*; Henry Procter*]. Moreover, the population was dispirited, and some were actively aiding the enemy [see Joseph Willcocks*]. Both civilians and the armed forces were suffering from a shortage of food. All was not lost, however. The American force in Fort George (Niagara-on-the-Lake) and its vicinity had been much weakened by the withdrawal of troops to other regions. Early in December, apparently in response to Drummond’s order to advance from their positions on Burlington Heights (Hamilton), British troops pushed up the Niagara peninsula. 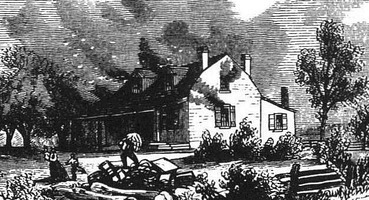 The movement caused the Americans to evacuate Fort George and the neighbouring village of Newark (Niagara-on-the-Lake), which they burned on 10 December. Drummond himself arrived on the frontier on the 16th and immediately decided to attack Fort Niagara (near Youngstown), N.Y. He threw a force across the river which stormed the fort on the morning of the 19th and captured 344 Americans as well as an immense quantity of munitions and supplies. The same day more troops under Major-General Phineas Riall* crossed over, and during their operations the town of Lewiston was destroyed. Eleven days later a force under Riall undertook another raid, during which it routed some American militia at Buffalo. The towns of Black Rock (Buffalo) and Buffalo were burned to avenge the destruction of Newark; also burned were some vessels of the American Lake Erie fleet and large amounts of supplies. This brief but decisive campaign restored control of the Niagara frontier to the British and greatly improved the confidence of the army and the people of Upper Canada. Drummond himself showed great personal energy in advancing to the frontier and considerable daring in attacking Fort Niagara, the strongest position in the region. 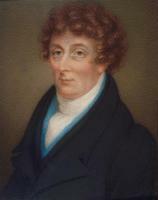 In February 1814 Drummond presided over the session of the provincial legislature at York (Toronto). 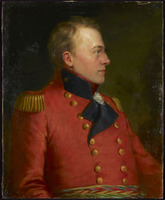 The political climate of Upper Canada had changed considerably since the beginning of the war, for the security offered by Drummond’s campaign and the bitterness over the American ravages contributed to a much more suspicious and intolerant attitude towards American sympathizers. 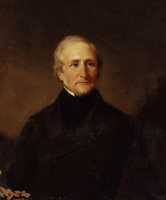 Drummond thus had little difficulty in persuading the legislature to pass bills which suspended habeas corpus and which provided for the more effective trial and punishment of those accused of treasonable activities. These measures were linked to the apprehension of persons accused of treason over the winter of 1813–14 and to the issuing of a special commission by Drummond on 14 Dec. 1813 to try those taken. 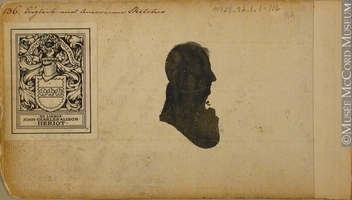 In May and June 1814 some 20 persons were tried at Ancaster, eight being executed and others sentenced to be transported [see Jacob Overholser*]. On a different issue Drummond received little cooperation. Because of a chronic lack of provisions and forage in the Kingston garrison, on 22 Nov. 1813 Rottenburg had proclaimed martial law in the Johnstown and Eastern districts in order to force the sale of food to the army. The legislature had protested strongly, and one of Drummond’s first acts as president was to repeal the proclamation. But he soon found that farmers continued to withhold provisions, and although he tried to persuade the legislature to authorize him to declare martial law, he was rebuffed. 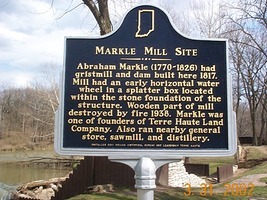 Nevertheless, the problem was so acute that on 12 April 1814 he reimposed martial law, this time throughout the province, in order to allow the army to purchase supplies at a fixed rate once the needs of individual farmers were met. Both his superior, Prevost, and the legislature were strongly critical, but Drummond maintained martial law until the end of the war. In his defence it must be said that he insisted on fair prices and kept a rigid control over the operation of the purchasing system. Military affairs, however, were of paramount importance. An advance planned on Amherstburg and Detroit in the winter had to be cancelled because of the mildness of the weather, but at Kingston Drummond discussed the coming campaign for 1814 with Sir James Lucas Yeo*, naval commander on the lakes. Both men agreed that control of Lake Ontario was essential before men and supplies could be conveyed efficiently from Kingston to the Niagara peninsula, the expected scene of operations. To this end, in April Drummond and Prevost considered the possibility of an attack on the main American naval base of Sackets Harbor, N.Y., to destroy the enemy fleet. 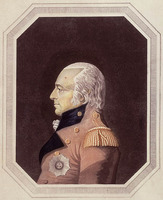 Drummond’s plans were feasible, but Prevost refused his repeated requests for reinforcements from Lower Canada which he felt were necessary for success. Drummond and Yeo therefore decided to attack the less strongly held depot at Oswego, N.Y., where supplies for the American vessels being built at Sackets Harbor were being assembled. A successful attack took place on 6 May under Drummond’s personal leadership. The large quantity of supplies was especially valuable because of the continuing shortage of food in Upper Canada. Nevertheless, the raid failed to capture the principal equipment for the American vessels. When it was learned that this material was to be sent by water to Sackets Harbor, Yeo dispatched a force of gunboats to intercept it, but they were defeated and captured in Sandy Creek, N.Y., on 30 May. Drummond’s efforts in the land campaign of 1814 were concentrated almost exclusively on the Niagara frontier. Initially he was thrown on the defensive. 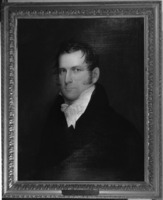 American plans envisaged an advance on Burlington Heights, and on 3 July some 4,000 men under Major-General Jacob Jennings Brown crossed the Niagara River and captured Fort Erie. 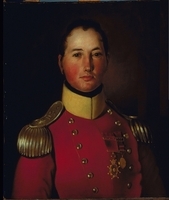 Phineas Riall, commanding the British forces in the peninsula, attacked the American advance guard at Chippawa (Niagara Falls) two days later, but was heavily defeated and forced to retreat to Fort George. The British position was now critical, for the Americans might easily have captured forts George and Niagara had their navy delivered the heavy artillery Brown needed to reduce the works. But for various reasons their squadron remained in Sackets Harbor and, while Brown’s army sat for two weeks awaiting the guns, Drummond rushed reinforcements to the frontier from York and Kingston. 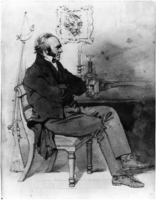 He himself sailed from York on 24 July, determined to drive Brown out of the province. The following day the armies clashed in the battle of Lundy’s Lane, near Niagara Falls. The action began about six o’clock in the evening with only part of each force present; reinforcements subsequently increased the Americans to about 3,000 and the British to about 2,800. Believing himself to be badly outnumbered, Drummond remained on the defensive and held off attacks on his position until about nine o’clock, when his artillery was captured and his line forced back several hundred yards. During the next three hours he led three unsuccessful counter-attacks, in the course of which he was wounded in the neck, and he twice had to beat off American columns attempting to outflank his line. Finally, at midnight, when the Americans were withdrawing in exhaustion, a party of British light infantry recaptured the guns. Each side suffered over 850 casualties in this extremely confused action, the bloodiest of the war fought on Canadian soil, but it was ultimately to be a British victory. Crippled by wounds, Brown had turned over command to Brigadier-General Eleazar Wheelock Ripley, who ordered a retreat to Fort Erie the following day. When Drummond advanced early in August, he discovered that the Americans had enclosed their army in a hastily erected fortified camp adjacent to Fort Erie. Reasoning that it would be easier to starve them into surrender than to assault, on 2 August he sent a force to raid the supply depots at Black Rock and Buffalo. Unfortunately, the British were observed crossing and had to withdraw after skirmishing with American troops sent to intercept them. Drummond was thus compelled to undertake a formal siege under unfavourable conditions. The American squadron had seized control of Lake Ontario at the beginning of August, which prevented him from receiving the artillery and ammunition he needed to succeed. Nevertheless, he erected a battery of four guns and opened a bombardment on 13 August. William Dunlop*, a British army surgeon, thought that the fire of the guns was completely inadequate but by the 15th Drummond considered that enough damage had been done to warrant an assault. One column of 1,500 troops was to attack the southern end of the camp, while two more totalling 1,600 men were to attack the fort at its northern end. Despite the dangers inherent in the widely separated positions of the columns, Drummond had planned well: he refrained from showing troops to the west and south so that the Americans would not expect an attack from that direction, and he launched the southern column first to give it the best chance of achieving surprise. Unfortunately for Drummond, the American commander, Colonel Edmund Pendleton Gaines, had suspected a British attack and had made sure his men were prepared. As the southern column neared its objective, it was met with “one broad uninterrupted sheet of light” as the defenders fired. Most of De Watteville’s Regiment, which comprised the majority of the column, immediately fled, taking the remainder with it. Some troops rallied and returned to the attack, but were beaten off in the end. The northern columns were also met with a heavy fire, but succeeded in breaking into the fort and held their ground for several hours against enemy counter-attacks. At dawn, however, a stock of ammunition exploded, blowing many of the British to pieces, and the rest fled in panic to their own lines. Although the attack had proved Drummond’s daring, it had ended in a brutal defeat, 906 men being lost as against 84 Americans. Reinforcements soon arrived, but Drummond still lacked enough artillery and would have been wise to withdraw after the failure of the assault. Moreover, sickness and desertions were increasing and supplies diminishing. None the less, he persisted. During the remainder of August and into September he constructed two more batteries, and joined all three by rows of fortifications. In the mean time, Brown had assumed command at Fort Erie, and immediately began to plan a sortie. By boating New York militia across the Niagara at night, Brown assembled nearly 3,000 men in the camp by 17 September. Drummond had 3,500, all of them regulars, but only one-third served in the lines; the rest were in a camp to the rear. Drummond welcomed deserters’ reports of an impending attack because it would spare him from having to make a second assault on the fort, but he failed to reinforce his front line, and so exposed himself to being defeated in detail. The Americans attacked in a rain storm on 17 September. One column advanced to roll up the British siege works from the right flank, another attacked head-on. They succeeded in capturing two of the batteries before Drummond led up reinforcements from the camp and drove them back into the fort. The British suffered 609 casualties in this engagement while inflicting only 511 on the enemy. Moreover, the Americans wrecked three of the siege guns and destroyed much of the ammunition. These losses, together with a worsening shortage of food and continuing bad weather, forced Drummond to abandon the siege on 21 September and retreat behind the Chippawa River. The campaign remained at a standstill until 1 October, when Brown was joined by 3,500 regulars under Major-General George Izard. The combined American forces advanced to the Chippawa and fought a number of inconclusive skirmishes with Drummond’s troops, who were partially ensconced behind field works. Drummond was saved from a pitched battle by Yeo’s squadron, which reached the mouth of the Niagara on the 18th with supplies and reinforcements. When the Americans learned of Yeo’s arrival, they withdrew to Fort Erie and then to their own side of the river. On 5 November they blew up Fort Erie and the adjoining camp, thus abandoning their last hold on the Upper Canadian bank of the Niagara. No action took place on the frontier during the winter, and in March 1815 news of the end of the war was received. At the same time Drummond learned of his appointment as administrator and commander of the troops in the Canadas, Prevost having been recalled to explain his conduct of the Plattsburgh campaign of 1814. 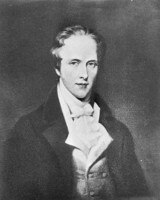 Drummond’s entry into his new position was inauspicious: Prevost left Quebec some hours before Drummond arrived on 3 April 1815, and he was deprived of any possible advantages from a personal discussion. Soon afterwards he received orders from the British government to send home the large majority of the troops in the Canadas to meet the threat posed by Napoleon’s return from Elba. Drummond also inherited the arrangements for implementing the Treaty of Ghent, and he therefore supervised the handing over of captured posts to the Americans. Because Michilimackinac (Mackinac Island, Mich.) was returned, he ordered surveys for a new British fort in the region, and settled on a site on Drummond Island (Mich.). In the political sphere, Drummond took little action of his own. The British government informed him that the Privy Council had exonerated the Lower Canadian judges Jonathan Sewell* and James Monk* from charges laid by their house of assembly, and ordered him to dissolve the assembly should it show any inclination to revive the charges. This Drummond duly did in February 1816. But as he reported, there was little chance that a new assembly would be more cooperative since those members most critical of the judges were likely to be re-elected. 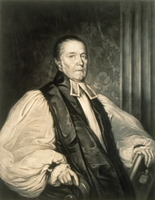 Because he thought that his appointment was temporary, Drummond had asked to be relieved as soon as possible, citing ill health and urgent family matters which required his presence in Britain. He was upset to learn that he would have been made lieutenant governor of Nova Scotia had he not made this request, and realized that he was now cut off from future advancement. His temper was not improved when his successor, Major-General John Wilson, arrived some months later than expected, and again when he and Wilson had an “extremely unpleasant” disagreement about the date of the handing over of the administration. Drummond left Quebec for the last time on 20 May 1816, and on his return to England settled into the normal life of a peace-time soldier. His services in North America had been recognized with the award of a kcb on 2 Jan. 1815, and on 11 March 1817 he became a gcb. Promoted general on 27 May 1825, he held in succession the colonelcies of the 97th Foot (8 Feb. 1814), the 88th Foot (11 March 1819), the 71st Foot (16 Jan. 1824), the 49th Foot (21 Sept. 1829), and finally his old command, the 8th Foot (24 April 1846). At the time of his death he was the senior general in the British army. Gordon Drummond was an experienced infantry officer who was clearly more aggressive and ruthless than either Sheaffe or Rottenburg. In his relations with Prevost he was polite and respectful, but perhaps because of his rank and experience he was more willing to continue to press his arguments than his predecessors had been. For Prevost’s part, his letters to Drummond have the character of advice rather than command. Drummond also worked well with Yeo, although he was infuriated by Yeo’s lack of cooperation in transporting men and supplies to the Niagara peninsula during the fall of 1814. As a commander, Drummond was uniformly successful for a long period. The reverses he suffered in the second half of the campaign of 1814 must be partly attributed to Prevost’s refusal to let him attack Sackets Harbor in the spring, for Drummond had realized that he could not succeed on the Niagara frontier unless the American Lake Ontario squadron was destroyed. Much of the campaign he was subsequently forced to fight is testimony to the frustration an intelligent and aggressive officer must suffer under the orders of a more timorous one. 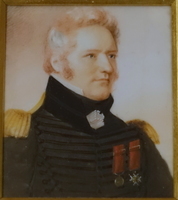 After the defeat at Chippawa in July, he used the remaining period of British naval superiority effectively to reinforce and supply the troops in the Niagara peninsula and then led them to victory at Lundy’s Lane. It was the decisive battle of the campaign, and it was won by Drummond’s persistence no less than that of his troops. At Fort Erie he lacked the means to succeed, and this seems to have left the normally self-confident soldier in a quandary. He was suffering from stomach trouble, and this, together with the wound he had received at Lundy’s Lane, may have contributed to his mistakes. Whatever the case, the mistakes he made were severe and he showed himself inferior to his opponent Brown in both energy and skill. PAC, RG 8, I (C ser. ), 682–86, 1222–23. PRO, CO 42/162, 42/163, 42/166. Doc. hist. of campaign upon Niagara frontier (Cruikshank), vols.7–8. Gentleman’s Magazine, July–December 1854: 625–26. Select British docs. of War of 1812 (Wood), vol.3, pt.i. DNB. G.B, WO, Army list, 1790–1854. E. A. Cruikshank, The battle of Lundy’s Lane, 25th July 1814: a historical study (3rd ed., Welland, Ont., 1893); Drummond’s winter campaign, 1813 (2nd ed., [Welland, 1900]); The siege of Fort Erie, August 1st–September 23rd, 1814 (Welland, 1905). A military history of Perthshire, 1660–1902, ed. [K. M. Ramsay Stewart-Murray], Marchioness of Tullibardine (2v., Perth, Scot., 1908). E. A. Cruikshank, “Sir Gordon Drummond, K.C.B. . . . ,” OH, 29 (1933): 8–13. W. M. Weekes, “The War of 1812: civil authority and martial law in Upper Canada,” OH, 48 (1956); 147–61. Kenneth Stickney, “DRUMMOND, Sir GORDON,” in Dictionary of Canadian Biography, vol. 8, University of Toronto/Université Laval, 2003–, accessed April 20, 2019, http://www.biographi.ca/en/bio/drummond_gordon_8E.html.